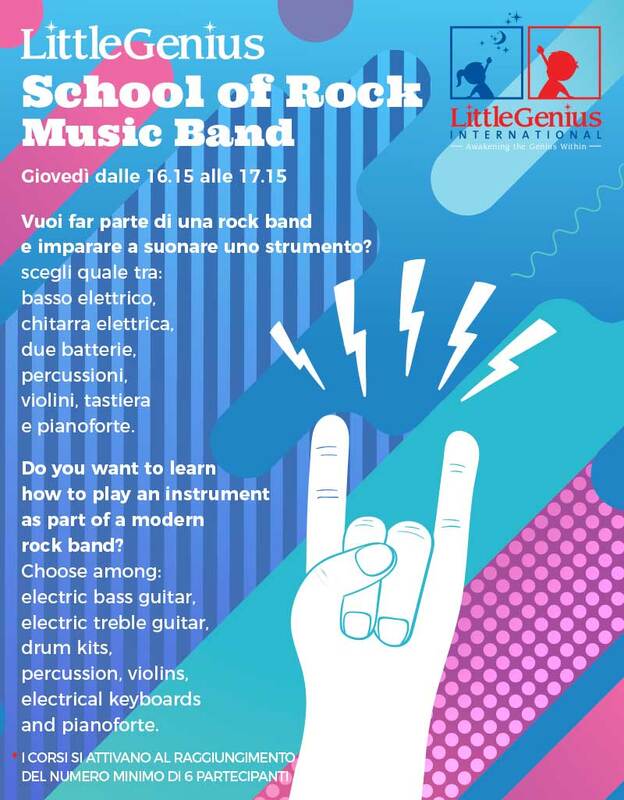 Lessons will take place on Thursday from 4.15pm to 5.15pm. Acting, screenplay, direction, set design and costumes. 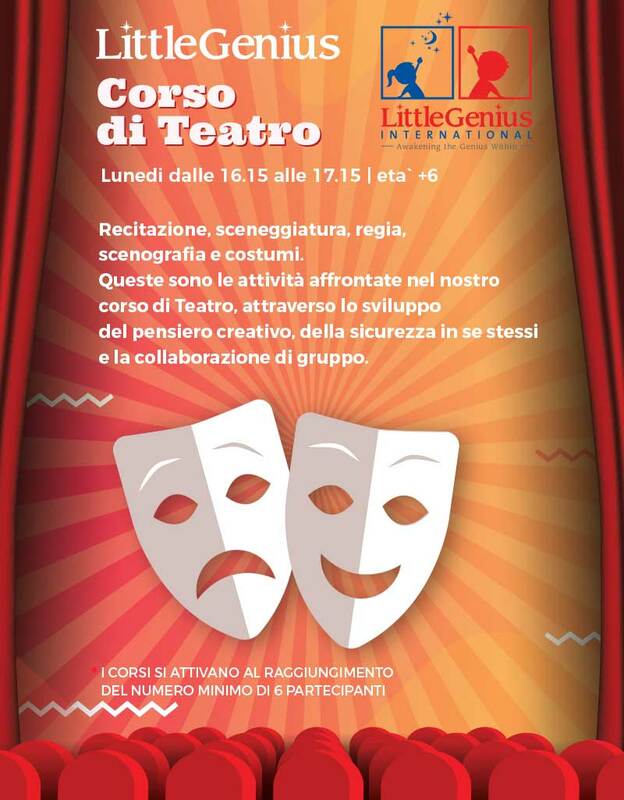 These are the activities of our Theatre course, through the development of creative thinking, self-confidence and group collaboration. 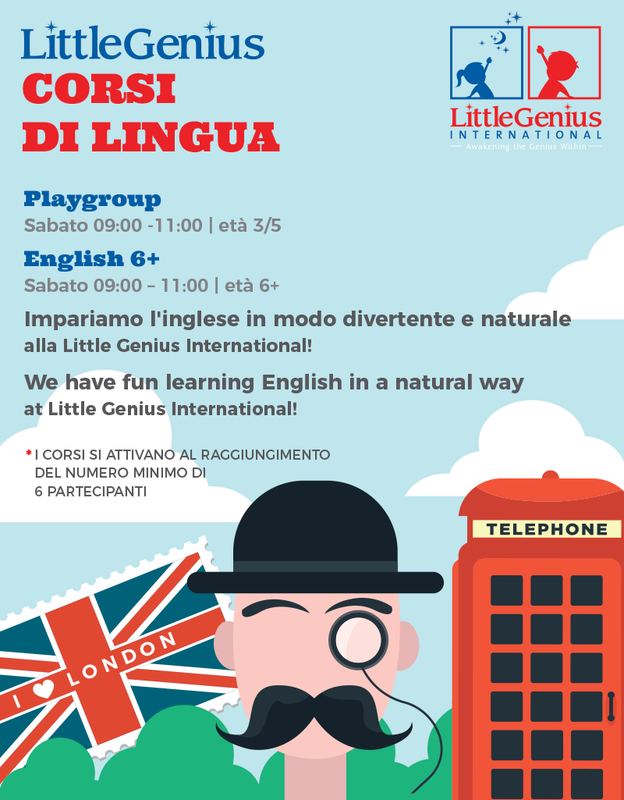 A specific course for young children to learn English while having fun. The school offers courses in English, French, Spanish, Russian or Chinese, aimed at children and adults, who wish to improve their knowledge of the language for work purposes or for the pleasure of learning a new language through a personalized program based on individual needs. Fablab is a testing laboratory for children. 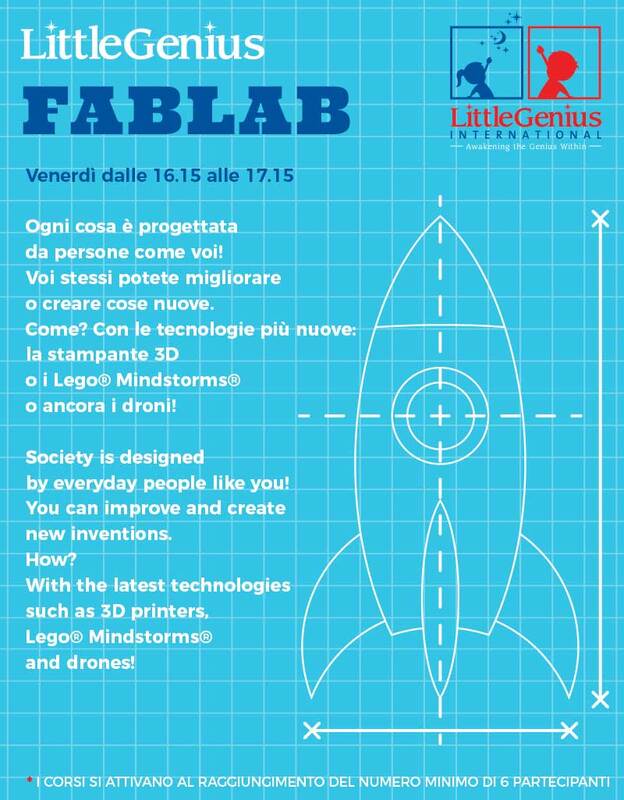 Activities: 3D printers, drones, Little Bits, Lego Mindstorm and robotics. 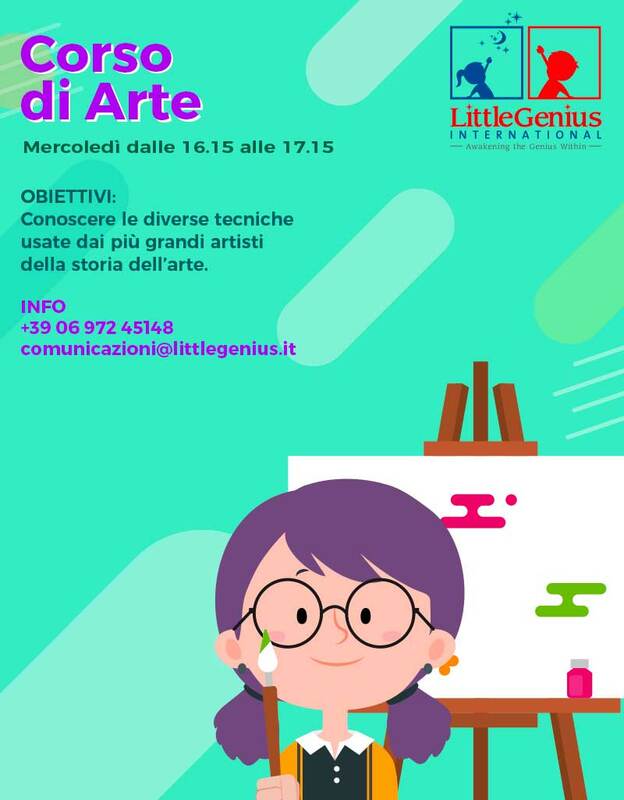 The aim of the course is to introduce the different techniques used by the greatest artists in history. 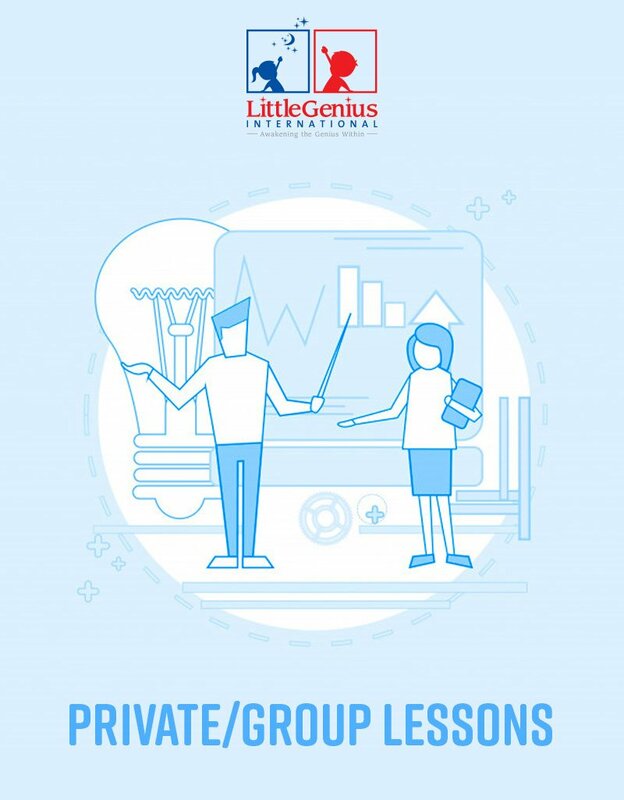 At Little Genius we put all our skills and competences in favor of the territory, from English to robotics, also structuring and proposing training courses dedicated to children and their parents when the school activity is paused. Our courses are designed to provide our students English lessons in an inclusive natural way. They will practice reading, writing, speaking and comprehension components, which will be dealt through various games and dynamic activities that make lessons enjoyable and sustainable, never boring and always child centered. 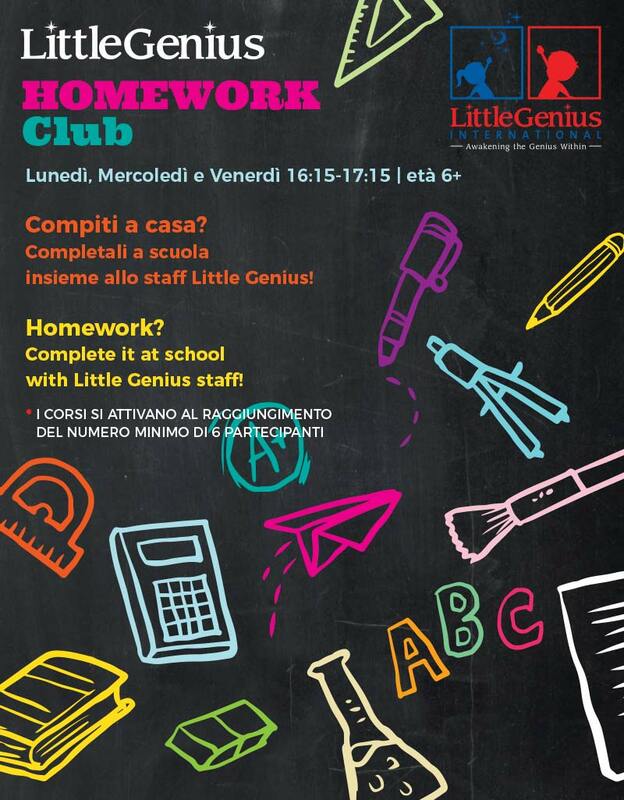 We are fully equipped with international primary school educational facilities and teaching materials with courses being complementary to those normally attended in the Italian state schools, in order to improve confidence, competence and fluency in reading, writing and speaking. At the end of the English course, students may opt to participate in International Cambridge Primary school exams. The course in English, French, Russian or Spanish is targeted at young people and adults, who want to improve their knowledge of the language for work purposes or for the pleasure of learning a new language through a personalized program based on individual needs. At the end of the English course, upon request, you can take the Cambridge exam at our office. NB: for group courses there is a minimum number of 3 participants.